1. Learn the language before you come. You don’t have to be a pro! However learning phrases or words just to get by is really nice to know. It comes in handy when you’re trying to meet locals, or ordering at a restaurant. 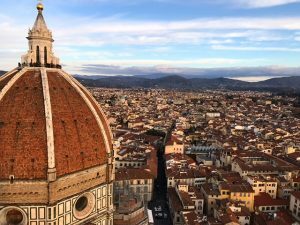 Mostly everyone in Florence knows English, but there are those few that don’t, so just learn some words! 2. You don’t need to pack your whole closet! I wish I did not bring as many clothes as I did because I barely wore half of them. You will definitely be buying clothes and shoes. If you are planning on getting family and friends gifts while abroad (which you more than likely will), that takes up a ton of space in a suitcase too. It is very expensive to ship things to and from the U.S, so I do not suggest doing so. 3. Don’t use PicCell. They are extremely expensive. Many of my friends have gotten charged crazy fees for absolutely no reason. Make sure your phone is unlocked by your cell phone provider in the States first then once you are aboard, go to Vodafone or Tim to get a SIM card. They’re so easy and very inexpensive! I know for sure with Vodafone you can use data in basically all of Europe. 4. Travel as much as you can! Experiencing different cultures and cities is such an incredible experience. Even just traveling a few hours outside of where you are studying is awesome. Try the foods of the culture, even if it’s “weird” or “gross” in our culture. 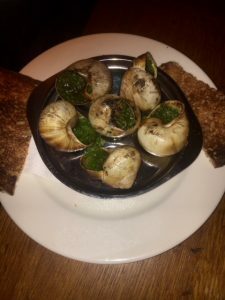 I thought I would hate escargot and duck, but I tried it in Paris and they’re both two of my favorite foods now! 5. Make a bucket list before you come of everything you want to accomplish in the city you will be living in. A good way to look things up is through Pinterest because there are a ton of travel blogs that pop up with things that are touristy, but also restaurants and bars that are known to locals. If you don’t make a bucket list, you’ll be running around trying to do everything in the last few weeks of your stay. 6. SAVE SAVE SAVE!! Save money before you come. Make a realistic budget for groceries, shopping, going out, eating at restaurants, etc. By the time you get to the end of studying abroad, money is an issue for many! 7. Take classes that help you learn more about the culture such as art history, food, and wine classes. However make sure it counts as credit at your home university. These classes are great because they take you to local restaurants that you probably would never go to on your own. 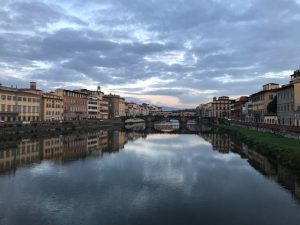 Also, the university I am studying at has a week long class before classes actually start which take you to Rome and all around little cities in Tuscany. It’s super cool because it’s these cities that you would more than likely never know about if you did not take the course. However, make room for class fees into your budget if you take classes such as these. 8. Take pictures of everything and journal! Your abroad experience will go by so fast, and you’ll want to remember everything! Journaling is a great way to refresh your memory. Take flyers and business cards from everywhere you go and place them in your journal then write about them. If you travel, take pictures of even your hostel/bedroom or of restaurant menus! I went on fall break and went to 5 different countries in 11 days, therefore I barely remember where we stayed in every city. Yes pictures will help refresh your memory, but also LIVE IN THE MOMENT! Embrace everything before you take a picture. Make sure you can remember it in real life too, not just how the picture looks. Hailey is a fall 2017 SAI Florence student from The College of Charleston.